Wow – what a difference a day can make to the English weather. Yesterday we were out enjoying a 10 mile bike ride in the beautiful New Forest, and today we are curled up on the sofa with the cat litening to the rain. 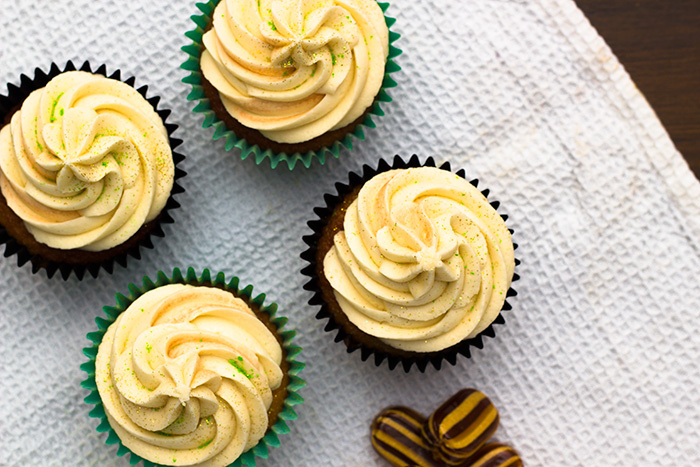 It would be a perfect day to enjoy one of these cupcakes so I will drag myself out into the kitchen this afternoon to make some more! 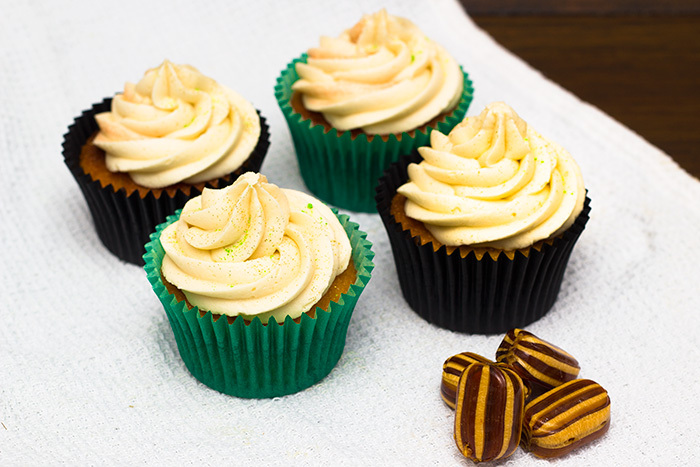 Earlier this week I made these Mint Humbug cupcakes. A wonderful mix of caramel and mint. Looking at the ingredients, I thought my husband would hate them due to their sweetness but I think the mint balanced it out brilliantly and he actually really enjoyed them! Recipe taken form Home Sweet Home. Once the cupcakes are completely cooled, frost them. 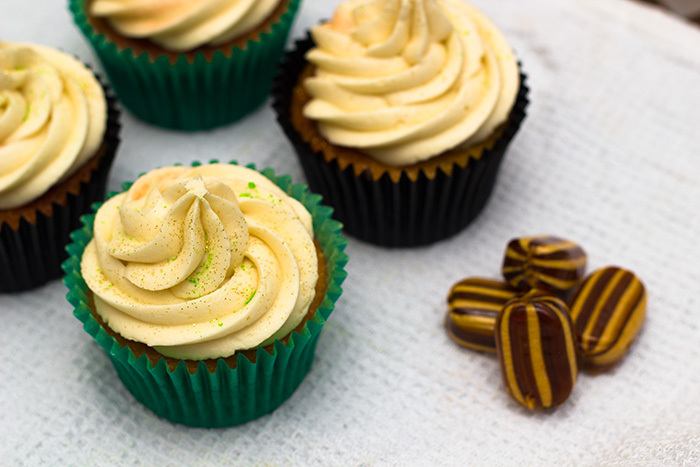 You could also top the cupcakes with crushed mint humbugs but I am not sure how the textures would work. I also think it would distract from the wonderful flavour you have already been able to re create in the sponge and frosting. I topped mine with some edible glitter. I also tried to put in a mint humbug line to the frosting by adding a line of food gel into the piping bag but unfortunately I didn’t add enough and it didn’t show up. But I will try again when I bake some more later. What I will say about these cupcakes are that they are better the day after baking. So if possible, try to bake them the day before. « Win a meet and greet with Mary Berry at Afternoon Tea! 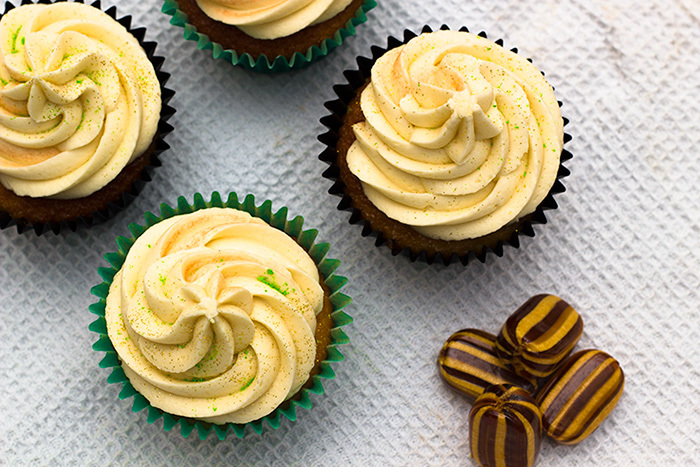 I would love to make these Mint Humbug cupcakes,but may I ask,what is tinned carmel?